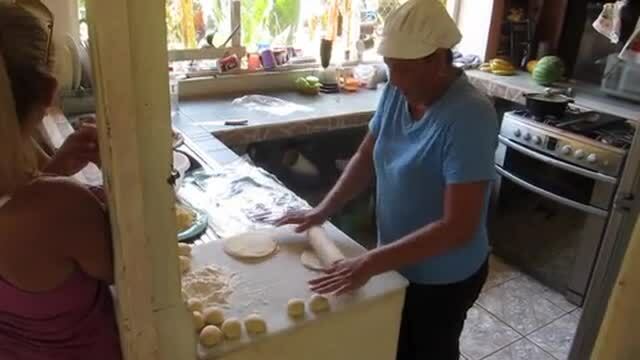 Isa shows everyone how to make tortillas in her outdoor kitchen. She's fast and they're good. Half the kids got a cooking class and the other half painted, cleaned, and filled in a ditch at the new El Llanito school. It was a field trip for the 3th, 4th and 5th graders with the students from El Llanito. The parents put in a little work too. My favorite was Isa's chocolate covered bananas with peanuts.